You will be assured of more accurate reports as extra relevant information is gathered that would normally be too time consuming to pass onto a report provider like Solutions ie. For example the cheque register for the last 24 months of a sinking fund account will automatically go to the inspector doing the reports making his estimates even more accurate. How long does it take to fill out an order form? Five to ten minutes and then if you or the person on the other end makes a mistake how long does that take to sort out? Perhaps another 30 minutes. Add to that the benefits of more accurate reports and there are many compelling reasons to order your reports using the Solutions ie icon on BCMax. As an introductory offer to your business we will plant a tree for every report ordered using the icon on your BCMax screen. StrataMax and bing work closely together to deliver operational savings to Body Corporate Managers. bing is a sensational new way to conveniently post mail directly from your desktop PC. It is an ideal way for Body Corporate Companies to quickly and easily send any volume of levies, minutes, agendas and other paper based correspondence without even needing to turn on a printer. How does bing work? By simply clicking a button on your computer, mail is beamed electronically to a bing post office. Your mail is automatically printed, folded, enveloped and dispatched into the Australia Post network the very same day. A postie will then deliver your letters as normal business mail - all this without even leaving your desk.... bing it on. 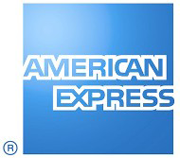 StrataPay and American Express have teamed up to provide a market-leading payment solution for American Express members. Contact us to find out more. Redmap is an Australian software organisation with a long pedigree of addressing document automation requirements for business. Established in 1996, Redmap currently services 2,000+ customers in the Asia-Pacific region with its Redmap branded software. A further 45,000 customers are supported internationally through a number of their OEM solutions for some of the largest technology companies in the world, including Toshiba. Redmap may be your solution.